Acrylic Donation Boxes in fundraising success stories! Everybody likes to have their voices heard and opinions considered. It gives the individual a sense of self-worth; that what you have to say matters! Giving also helps uplift the human spirit. There’s something about helping others that provides an irreplaceable feeling. And what else philanthropy and survey taking have in common can all fit in a box, preferably an acrylic Donation Box or Suggestion Box! There are many options, from smaller “coin bank” donation boxes to larger bottom locking acrylic boxes ideal for collecting. That locking feature is pretty crucial, and for obvious reasons. Among so many giving souls, it’s the occasional scoundrel who tries to raid the box. A number of Amazon reviews complained of poor locks on otherwise functional donation boxes. The solid smoked acrylic 6-1/4” donation box with a bottom lock answers that problem with great success. Not only is the temptation kept out of sight, keeping the locking device on the bottom gives more placement options…on the wall, for example. When we designed our donation boxes with top locks, acrylic thickness was a key consideration to support the overall security. An 8-3/4” Donation Box and Lock not only holds the money, it also serves as a ballot or suggestion box. This is one of many boxes with a clear acrylic header, ideal for various sized ads to draw the eye and those important contributions. For churches, charities, and non-profit organizations, donations are vital…an integral way to collect funds for any number of important projects. Some individuals have also developed clever ideas for donation box usage in most charitable ways. “PeanutMommy21” posted one on www.cafemom.com about having a donation box for the ASPCA at her wedding. Seems she and her fiancé (at post time) are big animal lovers and while the response was not unanimously supported by the site’s visitors, many loved it! We must say that we fully endorse the use of donation boxes on behalf of the ASPCA, as this outstanding organization is among many who put our small and large donation boxes to use. Reports we get say they really earn their spaces, too, amassing much-needed funding every year. One of the great things about acrylic…the more funds start building, the more others see it and want to contribute. It’s true! As the internet and social media opened new worlds of opinion-giving, view-sharing, and vast amounts of venting, businesses, government agencies like local DMVs, and other organizations have also taken greater notice of their customers’ and visitors’ thoughts. Clear acrylic 8” or 11” wide suggestion boxes / donation boxes are springing up with great frequency. They’re an especially popular way to capture suggestions in the workplace, paving avenues of communication and beneficial ideas that might otherwise remain hidden. Acrylic clarity invites more suggestion sharing than those old wooden boxes, simply because it shows employees that they’re not alone in casting opinions. Visibility makes all the difference and some pretty good ideas are the result. Every year, millions of dollars are raised for some extremely worthy endeavors, from hospitals and schools to food pantries and fire department fundraisers. Be sure to consider dimensions, placement, security, and customization with the strategic use of your donation boxes and suggestion boxes. Careful forethought of these factors will keep those boxes full and refilled often. Consider slot holder and slit size options in addition to those headers we mentioned, too. Versatile acrylic in a choice of Large Donation and Suggestion Boxes along with Small Donation Box styles can take your campaigns to whole new levels. Go ahead…survey and see! Mention vinyl and many think about their old record collections. And for those too young to have never collected record albums, guess what? Vinyl is coming back in vogue amongst music aficionados. But when it comes to the versatility of vinyl in ticket holders, sleeves, and display products, its popularity and functionality have never waned! Long known for its excellent performance properties, the use of vinyl has been prevalent throughout the world in a broad cross-section of industries. Its non-hazardous properties help make vinyl a crucial ingredient in medical products like blood bags, catheters, dialysis equipment, mouthpieces, medical sealants, and a host of other applications. In construction, vinyl’s toughness makes it a vital part of roofing, siding, window frames, piping, wiring insulation, and a number of uses far too lengthy to list here. The auto industry first used vinyl as a sealant for shock absorbers, then discovered how well it applied to interior upholstery, floor mats, dashboards, body moldings, and much more. The properties of vinyl also make it an ideal substance for toy makers…it’s safe, cost effective, flexible, and easy to clean. It’s also used in electronic products and waterproofing. Many of these attributes also make vinyl a perfect substance in our Job Ticket Holders and Sleeves. Its protective properties make the safeguarding of important documentation worry-free. Take our Economy Vinyl Job Ticket Holders, for example. These Job Ticket Holders may be economical, but make no mistake about their heavy duty properties. 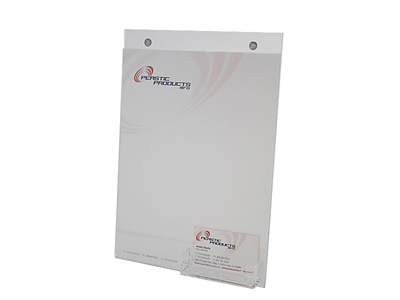 Available in many versatile sizes, the reinforced vinyl edges provide ideal protection for departmental identification and project tracking. They’re easily portable and also include a quarter-inch hang hole, lending an element of clear visibility on walls, doors, and bulletin boards. 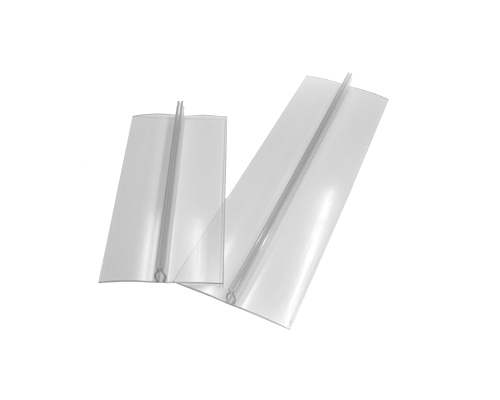 Vinyl Sleeves ranging from 2-1/2” OD x 4” OD to 9” OD x 12” OD also provide those safeguarding properties that keep vital documents safe, dry, and fully intact. We carry two distinct Sleeve styles in these dimensions: a basic style without a hang hole, and another with a “Peel and Stick” Adhesive Back. Besides their super abilities to protect everything from invoices, purchase orders, and bills of lading to flyers, legal documents – you name it – another attractive feature with Vinyl Sleeves AND Job Ticket Holders is their overall cost effectiveness. Just like the vinyl you’d spin on a turntable, THIS vinyl too is flat…it ships flat and is lightweight, which makes shipping costs incredibly low. In the world of plastics, thickness measured by the mil greatly determines what works best in suitable applications. Where acrylic is preferred for certain jobs, tough, durable vinyl is the material of choice for many others. It’s sturdy and extremely reliable as we’ve seen in its uses for so many industries mentioned here – and when it comes to your valuable documentation, you can’t go wrong with Vinyl Job Ticket Holders, Sign Holders, and Vinyl Sleeves. So break out the vinyl and strike up the band! With the savings you get, you’ll definitely want to sing along! So what’s in a name? Of course, your first and last names are the direct connection people make with your identity…from the birth certificate to the headstone and a zillion places in between. But name’s have more to them, more than serving as a simple source of identification. Whether or not you’ve ever thought about it, personal names have their own history. If you’ve never looked up your own name or someone close to you at home or work, do a quick search and find out what’s behind the name in the name plate holder. 4th century BC, thanks to the exploits of Alexander the Great. You can trace the name Natalie back to the 4th Century AD…it means “Christmas Day.” There’s some debate about the name Oscar. Some believe it stems from Gaelic roots and means “deer lover.” Others think it might actually come from the name Osgar and was brought to Ireland by the Vikings. If that’s the case, then OsCar/OsGar means “god spear.” Who knew? Just like every picture tells a story, so does every name…and showing those names in the best possible light adds the element of dignity and respect each one deserves. You can tell we’ve given this a lot of thought because we have a selection of name plate holders geared to make a star out of everyone from Aaron to Zelda. Clear acrylic ought to do the trick! Start with our Wall Mount Name Plate Holder style, which comes in seven standard sizes from 3” x 2” up to 11” x 2”. But who are we to determine the best size name plates for a company’s staff? We can make them any size…all you have to do is ask. No matter what the size, though, acrylic name plate holders give every moniker a sense of distinction, and this wall mount style also comes with fasteners for mounting. You can put your name up with magnetic strips, Velcro, or double sided tape…be sure to request your preference when ordering and we’ll include it with delivery. ome in nine standard sizes – giving a versatile range of potential uses. 11” x 4-1/4”. There are many sizes in between and most cartons ship with quantities of 25 or 50. Just let us know your desired dimensional specs. The crystal clear acrylic really showcases name plates and signs well. inverted U-shape that fits a 2” deep partition perfectly. A “lip” on one side is nearly as deep and allows for side loading. If you’ve seen anyone with their name on a piece of paper stapled to their cubicle as a form of office identification, those days are over! Cubicle name plate holders fit perfectly on top of office partitions…just be sure you measure accurately before ordering. The durable acrylic will take care of the rest! There you have it…a few different options for showing staff names and pertinent signs in top quality acrylic. Not only do they solve any identity issues, imagine the potential stories that might unfold with your own Alexanders, Natalies, and Oscars. They’ll also make new hires feel right at home…like acrylic name plate holder icebreakers! For retailers, sales for the holidays can really help make or break the entire year.It’s time to break out all the tools of the trade, like top quality acrylic displays, sign holders, and sign bases. We’re sure you’re most likely on top of it already, but we also wanted to pass along some tips that could go nicely with your displays and boost those sales. 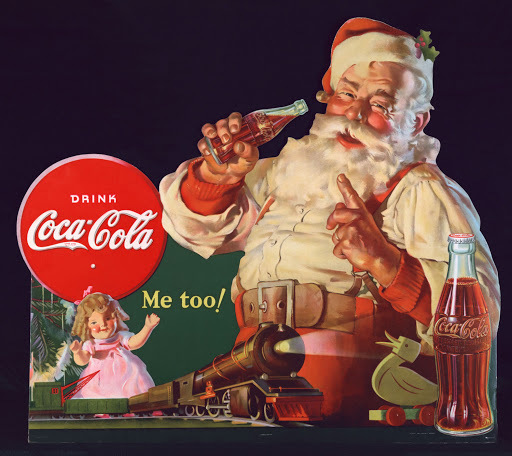 · First, consider using Nostalgia – There’s something comforting about the advertising of yesteryear.With baby boomers being the target demographic now especially, classic photos of Santa, certain foods, toys, you name it…they take customers back to a simpler time and give them more of a sense of comfort and control.Nostalgiac toys seem to be especially popular now, too. · The use of certain colors can have a profound psychological effect on shoppers.Ironically, Christmas colors RED and GREEN really tend to open the purse strings.Red background displays have enhanced e-bay sales according to the Yahoo report, and that translates to a more effective use of sign holders as well.Even waitresses and waiters wearing red tend to get higher tips.Consider the red logos for companies and brands like Target, Red Bull, Coca Cola, Kohl’s, K-Mart, Canon, and Colgate: for whatever reason, RED triggers more spending. 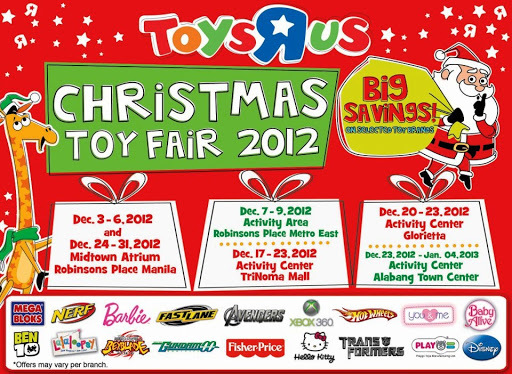 · The color GREEN is, of course, the other color we most closely associate with the Christmas season. Psychologically, buyers connect it with wealth and ease.It’s also the easiest color for the human eye to detect, making it a real draw in retail displays as well as enhancing impulse buys.Apple and Nokia in particular have put green to good use. · Store layout is also key to a fuller shopping cart.Make it more of a treasure hunt and shoppers will be more likely to add items. Providing previews, gifts, samples, and DISPLAYS along the way through the store?It’s almost a given, but you’d be surprised how many retailers could actually add to their sales with a little better strategic placement of their displays. This brings us to retail sign holders and their place in your schematics.Extruded retail sign holders come in several standard widths but can be made in almost any width – particularly helpful for those short-run seasonal promotions.These displays are designed to be very affordable and are 1-3/4” deep and 7/8” high.Sturdy sign bases keep your displays in the spotlight…all you have to do is focus on the best material for the location in the store and, you know, maybe adding a touch of red and/or green perhaps? A 2-7/8” deep retail sign holder can also be geared to accommodate a number of widths. This affordable, extruded style is ½” high and comes in a wide range of lengths, lending added flexibility to your display options. Maybe the most attractive option of all is our handmade sign base because the attractively sloped base can be printed with your custom message. Consider the options that provides, not just for holiday and end-of-year sales, but other promotional opportunities at other points throughout the year. 2” deep and 2” high, here’s a retail sign holder that can be made in almost any width you want…and yes: it’s hand made! Add your message and put it to work! So consider your options as shopping season kicks into high gear, and consider how these tips can be coordinated with your sign holders and sign bases. We’d love nothing more than to help Christmas’ red and green bring a LOT of green to your cash register during this busy time of year…and continue well into your other seasonal promotions for the future as well! Good luck and Happy Holiday shopping! The Holiday Season’s near at hand…for many businesses, the busiest time of year with the most promotions taking place simultaneously.Yes, it’s potentially the make or break time for big profits.And many of these same businesses have end-of-year bonuses and parties to pay for, so what’s a person to do? We can help in our own small but very vital way!With Economy Poster Holders and Poster Displays, your top promotions can get high levels of exposure right through the holidays and into 2013, too…and they won’t cost you an arm and a leg.That way, you can still get that product exposure, boost profits, AND keep employee Christmas bonuses intact and parties on schedule! Wall Mount Side Load Poster Holder style will get your biggest holiday promotions noticed right away… just make sure you have them in prominent positions.Electronics, jewelry, clothing, appliances, toys – you name it – just about anything goes this time of year, particularly in the retail world.But those products aren’t as likely to sell if you don’t show ‘em.These crystal clear plastic displays are durable and impact resistant, so they’re built to take a beating during the busy holiday shopping season.Economy Version Acrylic Poster Holders can be mounted to walls, doors, and cabinets to give you added versatility in that all important location, location, location! These lower cost poster holders are generally 11” x 8-1/2” and 8-1/2” x 11 and can be shipped in bulk to help save even more.Besides promotional material and advertisements, you can also add your corporate logo to further cement product association in your customers’ memory banks. Another economy display that’s popular this time of year is a vinyl style.Our Economy Vinyl Poster Holders are enclosed on three sides but open at the top “width.”It’s clear rigid vinyl; .070 thick that holds posters and promos up to .030 thick.This clear vinyl poster display provides an economical way to not only protect your promotional materials, signs, and posters, but a great way to spotlight them, too.They come in a wide range of size options, and quantities for both Economy Vinyl Poster Holders AND Plastic Wall Mount Side Load Poster Holders can be increased, just for the asking. Last year, consumer retail spending grew 4.7% from December 1st through December 24th over the same period in 2010.In November 2011, spending rose 4.1% over November 2010 according to the research firm ShopperTrak.The National Retail Federation’s forecast for 2012?Predictions call for another increase this holiday shopping season, an estimated 4.1%.If that prediction holds, that will result in about $586 billion in retail sales.And while Economy Poster Holders can be used beyond the retail realm, it might be a good idea to get them working for you now no matter WHAT type of operations you have.After all, ‘tis the Season…a time for travel and commerce in addition to holiday shopping lists! Poster Holders for Multi-Tasking Profit Makers! In recent years, our downsized economy has seen more businesses trying to manage with fewer resources in order to control costs. There sure wasn’t any shortage of discussion about the strengths and weaknesses of the economy during the recent and seemingly endless 2012 political campaigns, but any way you look at it, a number of companies have staff wearing the proverbial “many hats”…hats once worn by MORE staff that filled those positions. 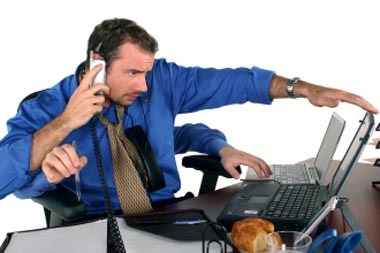 Remember a time BEFORE “multi-tasker” was a common term?A lot of companies faced the tough choice: cut back or close shop.We won’t bore you to tears with mind-numbing, doom-n-gloom stats but, suffice to say, work force reductions outpaced business closures…meaning longer days for a lot of folks.Ever adaptable and always nosing the grindstone, though, America’s work force answered the challenge, stepped up to the plate, and continued to get the job done. These same hard workers expect the same from the tools and products they use to make THEIR operations profitable.Makes sense, right?To have a hard work ethic, it helps to have a “work smart” approach wherever applicable.For example, when trying to convert promotional displays into future sales or potential profit right there at the point-of-contact, versatile acrylic Poster Holders can really hold its own.There are a couple of dual function poster holder styles that can deliver on multiple tasks just like you do every day. In office environments as well as conventions and trade shows, Poster Holders with a Brochure Pocket perform especially well.The acrylic draw of this dynamic poster brochure combo exhibits both advertising mediums at their best.Once a prospective customer is drawn to your display, he or she has the immediate option to “grab-n-go” to consider benefits and options at their own leisure, or double their interest at the possible point of sale.The addition of the brochure pocket adds interest, awareness, and gives the customer something tangible to hold on to…something filled with valuable information that can aid your sales opportunities.We’ve seen pretty solid results with this type of poster holder / brochure pocket display used as a motivational tool to buy. That second dual functional poster holder comes with a business card holder, lending a personal touch that still gets business done just like it always has.In a results-driven arena, acrylic Poster Holders with Business Card Holders offer an element of flexibility all their own, simply based on a vast array of both vertical and horizontal size ranges among other things.From 4” x 6” to 11” x 17” vertically and 6” x 4” to 17” x 11” horizontally, we can help accommodate a multitude of brochure display sizes and your top promotional material in eye-catching acrylic.Draw customers to learn more about that prime property opening in the most coveted new downtown district, for example.And with car sales and real estate also rebounding, having your business cards attached directly to a poster holder can make an ideal application.Customers get to see what you have to offer via clear acrylic and will have your vital information instantly to seal the deal.It’s all part of the psychology of the sale, you might say. Dedicated, hard-working employees, a good attitude, and acrylic poster holders don’t necessarily guarantee success all by themselves. But in the grand scheme of things, you need every edge you can get when putting together a complete professional package and a polished image. 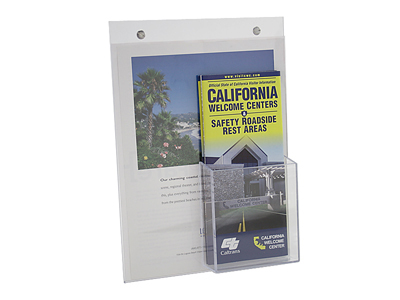 When showcasing your best products, services, and top promotions, count on our acrylic expertise with poster holders to help get you noticed first…then take your customers to the next step with brochure pockets and business card holders. Considering display holders as an investment will make you look great!